Ecobank Tanzania hosted the first media training workshop on financial inclusion at the Dar es Salaam headquarters on 18 March 2013. The workshop titled “Bank Financial Statements: What do they mean and why does it matter?” was aimed for members of the media including reporters and business editors. 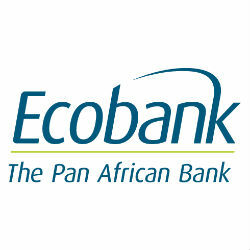 The training was hosted ahead of Ecobank exhibiting their financial statements at the end of the quarter to aid the public through the media with understanding publicized statements. The initiative is on par with Ecobank’s efforts at promoting financial inclusion and assisting Tanzanians understand the banking sector, thereby creating new markets and financial literacy for the expanding banking industry in Tanzania. The Ecobank Group network and experience across Africa is applied to the growing Tanzanian banking sector and plays a major role in financial inclusion in Tanzania.